Do you work for Dropbox Paper? "Great for File Sharing and Collaboration"
Ability to utilize group files and forms from colleagues without needing to directly contact them. Must sign in to dropbox in order to continually access the files. form pools for class usage in recurring courses, documents and forms and data sharing for collaborative projects. Learning about Dropbox Paper? We can help. "Heavy Price but Easy to use with Many Features "
"The best Tasks organizer without doubts"
I love the easy way to edit my documents from the comfort of my office since receiving thousands of messages from customers a day is a very complex job but Paper dropbox has been my salvation and it is very easy to create an account and customize the program to everyone's pleasure. I do not have big complaints about the interfaces of the program, but I've noticed that, from the mobile application, the editing of documents is quite limited and gives a totally different impression and of lower quality than the desktop version. But this does not prevent it from being great, just ask Dropbox to dedicate more time to the application and come with an update that resolves those little details that the mobile version has. In my area of work, I am responsible for serving the public and providing a solution to their questions and problems, so this program helps me a lot in the organization of each document I receive and I have better control of each user and, therefore, For this reason, Dropbox Papernos helps maintain order in the customer service area, since it makes us more efficient to solve our clients' problems and to assign tasks and edit files without the need to very heavy programs that require time. "Dropbox is the one stop solution for your collaboration needs!" Dropbox Paper is very useful in collaborating with my peers on projects for our school courses. It allows us to simultaneously work on one project together in real-time. Instead of having to meet up in person or sending emails back and forth, we can work together in one place online. I have not found anything about Paper that I have disliked thus far! I would highly recommend giving Dropbox Paper a trial run. It is a tool that will allow you to work on documents online without the need to constantly email them to yourself or to your colleagues. The tool enables you to share your document with your peers to work in an efficient and time saving manner. Dropbox Paper helps solve the issues of collaborating on projects/presentations/papers with peers that have different schedules and are located in different areas. You can get your work done in an efficient manner without cumbersome emailing back and forth. "Una herramienta básica para crear, editar y compartir documentos"
Es muy fácil crear documentos y compartirlos, dándole cierta responsabilidad a la persona con quien comparto, de editarlos o comentarlos. Puedo compartirlos mediante un enlace o con mis contactos de Gmail. Me encanta que exista la opción de "presentación", es genial cuando tengo videoconferencias y necesito mostrar algún documento en específico ya que puedo mostrarlo en grande cuando comparto la pantalla, es muy útil usarlo. También puedo habilitar el modo oscuro, de verdad creo que todos los softwares hoy en día deberían tener esta opción. Me gusta su integración con Google Calendar. Se puede realizar un documentos de tareas y lo que más me gusta de esto es que se pueden subordinar las tareas unas a otras. Me gustaría más opciones de fuentes. También sería muy útil contar con un corrector ortográfico. Creo que hay otros softwares que ofrecen mucho más que Dropbox paper. Como todo, hay que probarlo, ya que depende mucho de lo que requieras hacer. Para tener una lista de tareas, crear, edita y compartir archivos está muy bien. Tiene algunas integraciones que pueden interesarte. No es un servicio que use siempre, pero como uso el almacenamiento en la nube de Dropbox también uso Dropbox paper para editar y compartir algunos documentos de mi trabajo y personales. Creo que tiene mucho que mejorar, me gustaría que tuviese otras opciones ya que es difícil no compararlo con Google Docs, pero tiene su potencial. Yo creo que su mayor ventaja es que es muy fácil de usar y tiene una interfaz muy sencilla. "With Dropbox Paper, create documents and share in the cloud collaboratively. " What I like about dropbox paper is security, since it notifies me any information that arrives in the inbox, the chat service in this sense is fabulous, in this sense I can feel security because every information that is created in a paper, it is stored in dropbox, and you must have an account there to be able to access it. This makes it a really reliable tool. Dropbox does not consume excess of gigas, since the text files do not weigh. I consider it a disadvantage compared to other platforms, the fact that dropbox paper does not offer the possibility of creating spreadsheets and questionnaires, offering predetermined formats for that purpose, while other platforms do, the tool is limited to Offer the creation of text sheets. It also does not allow you to upload images from another site, or any type of format. This, in my opinion, is a weakness of the tool, which must be overcome over time. It offers little space in your cloud, which puts you at a disadvantage compared to other platforms. Due to this, we can not upload photos or heavy documents. Dropbox has helped me in the formulation of projects of great importance when we use it in collaboration, through this tool I can collect ideas, make project reports, besides helping me manage meetings with the working group. I recommend it because whoever uses it can create brilliant ideas with brilliant projects in collaboration, and the best thing is that teams can create content in a conjugated form and in a centralized space. Dropbox has helped me in the formulation of projects of great importance when we use it in collaboration, through this tool I can collect ideas, make project reports, besides helping me manage meetings with the working group. "Dropbox paper is the best tool to create a collective document"
Dropbox Paper is very easy to use. The registration is simple as well as its configuration. The asepcto of its interface is very good and allows any user to be able to use it. It offers an extensive source library. The prices of this service seem very competitive to me if we compare it with its closest competition. The attention provided by the technical support is unbeatable. Dropbox Paper is a powerful work tool. While other services offer the option of creating spreadsheets, Dropbox Paper is limited to text documents, which may be a bit of versatility. However, I believe that the service offered is framed within the cararteristicas with which it is promoted. You can try in principle with the free version of Dropbox paper to know its features. We explored on the WEB some tutorials that allowed us to handle it faster. It's a good option. If you have any questions, the technical support provides inemdiata answers. Thanks to Dropbox Paper in our team we have saved time, money and on the other hand we have established the ties of what teamwork means. Having the possibility to create, edit, modify and make the same document together in a simultaneous way is very positive and has improved our work strategy. "One of the best, if not the best Collaboration Solutions there is"
This is a must have solution if anyone is planning to make a drastic change in the way their teams work. Time and Money saved is Time and Money earned. As mentioned earlier, the whole team has become more efficient and better at providing a response, as a result we are reporting more savings in terms of Man hours. "Dropbox Paper is the best and safest storage tool in the cloud"
What I like most about Dropbox Paper is that it gives me the opportunity to work with other users online in real time. In the same way, it allows me to access functions such as version history and suggestions, which makes it possible to work on a file without needing to be contacted. Similarly, later sharing the document in social networks is a very simple process. It offers a very good free version that allows you to explore each of the features of this software before subscribing to a premium version. Dropbox Paper has made the way we work as a team in our organization much easier. Being able to work simultaneously in a document, being able to edit it in real time and doing it from different places or platforms without a doubt constitutes a radical change in the way we work. "Perfect to have your documents up to date"
since I started using DropboxPaper I can have my documents in the cloud safely. the pre-generated templates that I can use are very good because they are intended for meetings or presentations of a project or work. we help keep the documents updated, and the team of collaborators. "It is best for the team"
when we work together and one of us modifies something without another seeing it, it is not necessary to tell us in person, simply leave a comment on what he did and when we review it, we will be aware of the changes. its version control is excellent once I ruined a document and this helped me recover it, great! "Reliable storage in the cloud"
At work, we use Dropbox Paper continuously, since its method of teamwork is very efficient. I do not like the little storage space they give, I had to delete similar documents so that new ones could enter. It is an application that is in constant development. If you need an application where you can do a job quickly, alone or with collaborators, I recommend this application completely. For freelancer jobs it is perfect because I can communicate with clients remotely while they see the document and they are editing it together with me. Being able to be reviewed quickly, the collaborators participate in the edition giving an idea or correcting the documents. I like it because it allows editing of documents online, so that we can write, make suggestions, comment, delete, edit ... documents in .doc, .docx format (among others) from different devices (for example, the home computer and the computer of the office, or from the computer and from our tablet or smartphone, or between our computer and that of our colleagues, thesis supervisor, or whoever you want).In addition, we can add all kinds of elements to our documents: from images to emojis, through hyperlinks, among others, such as videos from Youtube or Vimeo or programming code. Like everything that depends on the cloud, Dropbox Paper needs an internet connection to update itself (whatever you write or edit for others to see, as well as what others write and edit for you to see). very good tool meets its purpose, auqnue only serves documents in doc format. Write drafts and articles with my research colleagues (and review them together later).-Prepare papers with my research group.Prepare classes and teaching documents with classmates or department colleagues. "Dropbox is the Real Deal"
Dropbox is very easy to organize. Everyone, regardless of their tech experience, seems to be able to use this software with great ease. We facilitate and implement new protocols using Dropbox and appreciate the live document feature. It integrates with G Suite well. Honestly, the learning curve compared to Google Docs. It's just re-learning how to use a shared and live document. Once you learn one program, it can be frustrating to learn a new one. Dropbox is great for all users. Once mastered, it is quite easy to develop new docs, edit, comment, and collaborate. We primarily use it to implement new policy and protocol. We have all training documents in Dropbox. We share new promotions in Dropbox regarding incentives and sales pitches. And we keep our entire knowledge base inside there. It is truly a glossary for the job. Our company is young, and we are still learning how we operate. As we self-audit, we are constantly repurposing and making policy for efficient. Dropbox helps us all get into alignment. "Good tool. But it lacks many improvements"
Great tool of work, the system of update is almost in real time, the possibilities of generating different types of information immediately are very good. If you add a plugin to view files, SketchUp would be the standard tool. II tried it from the web and it generated great enthusiasm, the incredibly basic app, practically works in single view mode, when from the mobile it is the place where it is most needed to have all the functions. Pity for the mobile part. "Dropbox paper, Work with your team"
I found a good application for the creation of diagrams and to translate ideas that can be shared later with your team. 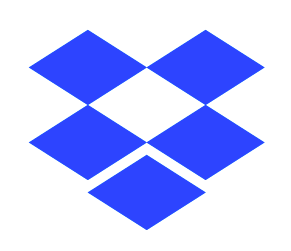 The application works exclusively in the cloud, unlike the dropbox application for storing documents. I also liked the possibility it offers to connect to your google account, which avoids losing registration time and you can also import documents easily from google drive. The application has a very simple interface (maybe too much) so it is not difficult to learn to use the application, with just a few buttons we can start creating and sharing. The doucments synchronize really fast so when a member of the group has edited something the rest can immediately see the result on your screen with hardly more delay than the one that adds your connection to the internet. Although simplicity is always appreciated in applications one has the feeling that even things or options are missing. I recommend using Dropbox paper only if you are looking for an easy way to share files in the cloud with other people without any security risk. You should also know that it is possible to add video, audio and images to the contrary than other applications similar to this one. I needed an application to share and collect information in conjunction with my team and Dropbox paper we could do it easily and quickly. Besides we can share all the information with each other without problems. I like how easy it is to access, make and edit files. I can easily add student data and write reports. Its similar to google doc but I believe its easier to use. I dislike the lack of storage. There should be more storage to upload more files. I can only store a certain amount of files. And can only download a certain amount too. Anyone can easily buy more storage but its a problem to actually know how much storage you will need. Dropbox is great as theres an app to ensure easy usage on Mac computers. Dropbox Paper, helps me write research report and easily send them to other to review. Its easy to add people to a files, so they can edit or view it with you. I can also set reminders for meetings. I have also realized the other features Dropbox Paper has like making templates and meeting notes.
" document editing tool s"
I like that someone can be named or cited for that person to see a notification (if he has to review a document or a section, or if you have questions to consult him, for example). This is very useful especially if the document is shared with enough people and you need one in particular to review what you want. Because everything that depends on the cloud, Dropbox Paper needs an internet connection to be updated for what you write or edit for others to see; as what others write and edit so that you see it is to say that this tool depends clearly on the connection to the internet. Add all the documents you already had in a moment and synchronize them. It keeps me completely organized. Paper's all around me give me so much anxiety and I love having them all in one place instead of scattered. Nothing, it is easy to use once you get the hang of it, and keeps everything in its place. I reccomend spending time using the product to get used to it. A lot of people may be warry of switching from paper to online, but it is very helpful in the long run. It is more environmentally friendly, it saves your items so you do not loose them, it organizes things in folders for you so you do not have papers everywhere, and it saves me from shredding. I would just suggest getting used to it and try and convert as many things as possible to dropbox instead of printing. It helps keep all things organized within our office and it is so easy to share papers in the office and with other departments. "Creative documents with Dropbox Paper"
We love Dropbox Paper because we can create, edit and share our documents and presentations, and even integrate it with a cloud service with Dropbox, all in one place. In addition, it is an excellent tool to work and collaborate as a team. It is very easy to use and implement our work with this tool, in addition to exploiting our creativity by integrating third-party programs. Of the things that we do not like we can mention the limited storage space, we believe that this can be improved since there are other programs that in your free plan can offer a little or many more and thus have more space to store our documents. The second thing we can mention is that the spelling correction tool is missing, this is FUNDAMENTAL for which we do not want to go through an embarrassing situation and finally, that in the mobile device you can not enable the edition of presentations. If you are looking to work and collaborate as a team, edit, organize and synchronize your presentations and documents online, this is undoubtedly the program that we can recommend. We have been able to benefit a lot with this tool, we have been able to work very well as a team and being in different places. We have been able to free our creativity by integrating different tools when working as Youtube, Trello, Spotify, Facebook and many more, which has allowed us to create unique and eye-catching documents and presentations for our internal business work. "Dropbox Paper is a reliable file storage service at a competitive price." I can say many positive things about Dropbox Paper. One of them is the ability to synchronize each of my files and folders. Its operation is very simple which allows any user to use it without major problem. The price is the best in the market. If you are looking for a service that optimally improves your commercial practices at a fair price, I think that Dropbox Paper is the best alternative. Your technical support is acceptable. Try this service. Worth it. Dropbox Paper has saved us time and money. To be a collaborative service that is supported on a cloud, we can access it from any place which allows the whole team to make their contributions from different sites without having to travel long distances, for example. "The best cloud to store and share files"
What I like most about DropBox Paper is that it offers the possibility to exchange files and store them in a simple and simple way. The synchronization between the shared folders is effective. I can access the cloud from any device as long as I have access to the internet. Really DropBox paper is a very good service. I think it offers a very small storage space in its basic and free version. No doubt the quality has a price, however I think it could be taken to at least 6 GB of free space. The biggest benefit that DropBox Paper has given us has been to strengthen teamwork as well as communication. There is nothing like having the opportunity to work online almost simultaneously on a project or work paper. With DropBox Paper this has been possible. Take from this tool the variety that offers a series of pre-generated templates such as meeting minutes, ideas session or overview of a project. we have managed to solve the edition of reports, since we have worked as a team to place the file available and among several people we are adding and editing to meet the requirements, we have used the fabulous labels are very complete and the emoticons to give a little joy to activity and To culminate I also like that it is your notification center, where you will be told when someone shares something with you, when they leave a comment in one of the documents, or when they mention you in a project or document that you have not created yourself. In fact, when creating comments in documents, each one will generate a small chat box in which to hold conversations and not just make simple comments. "Storage of information through DropBox Paper"
The dropbox is an excellent application to share folders one by one, it has an intelligent application to upload files, you can view photos online, it is easily integrated with the operating system that we have, a virtual hard disk in which we can work freely, in most of computers, we just need to have Internet. A very practical aspect is to share files with anyone without having them added, its interface is clean and we can send the files through a link, and that's it. The dropbox is more focused on group projects than individual, subtract a bit, however if it is very timely and facilitates things when we want to do exactly that. A limitation of DropBox Paper is its limitation in only offering text documents. We have concentrated on using it, given that it has a variety of pre-generated templates for meetings, ideas or a project. The Notification center is a great positive aspect, which keeps us alert when an information arrives. When we create comments in the documents, a small chat box is displayed where we talk, without limitations. "One note makes the difference!" In the business environment it is important to be the number one, for this it is necessary to have the relevant tools to facilitate teamwork and ensure the greatest creative contribution by the entire team, in my case in the administrative department Dropbox Paper has been the solution to many problems, the simple fact of being able to take a file that has Dropbox and be able to edit it live with my colleagues at work is an immense help, each idea of ​​a partner is worth a lot and it is gratifying to have your opinion in each We work as a team, that's why I love Dropbox Paper and it's definitely here to stay. Up to the moment it is the best and I am sure that your technical team will continue to guarantee that. The possibilities offered by platform is almost infinite for that reason there is nothing that I do not like about it, it is quite nice, I would like to have a little more storage capacity for those days of quite a lot of file traffic. Of rest there is no other site to see, you just have to use Dropbox paper. Continue to grow and think about the comfort of the user, as they have been doing. Many times we have to meet as a team to brainstorm or make suggestions among departments about future administrative activities, now we simply all meet via Dropbox from different sites and save time and guarantee quality in each project. "Dropbox Paper is the best tool to create content"
What I like most about Dropbox Paper is that it offers a simple interface that allows any user to handle it with ease. Similarly, the possibility of adding images, links and tables is very functional. Another element in favor is that I can access Dropbox Paper from any device, which allows me to work from the office, the home or even the street. I think that its main limitation compared to other alternatives in the market is that it only offers the possibility of creating text documents while the competition allows, for example, to prepare spreadsheets. Thanks to DropBox Paper, team work within the office has been greatly enhanced. In the same way we save time and money because we can work from different places in the same document. The convenience of dropbox and the ability to share documents with one another. It is easy to send and receive files as well as collaborate with others. I also like that I can log in with my google account and have everything tied together instead of having to create a separate account. This product is very useful for professionals but is not utilized enough by them. Maybe try to target this specific demographic a little more and demonstrate to them the benefits that it can bring to their company or organization. The ease of use is hard to beat. Consider the benefits and the barriers stopping you from using it. It is very convenient as well and allows for not only ease on the users, but the final product will be better because of it. Just the ability to collaborate with others allows not only for convenience and ease, but better communication and final product. We use this product within our school and class to share documents and files with each other to help us enrich our learning process. We share notes with each other as well as other study tools such as tables and charts some people make, spreadsheets, powerpoint slides. In addition, potentially also sharing lecture recordings from instructors so that we have access to the direct words spoken about topics. Being able to share a variety of file types has been crucial for us. Just how smooth and accessible everything is. The organization is amazing, this is the easiest product to use with all your important material in one place. The ease of syncing material through my phone is a great feature. Collaborating on documents is so easy, there's no confusion about projects. It's great to be able to comment what needs to be finished and easily view edits. This is an amazing product that needs to be pushed forward to all large organizations. My collaborators, co-workers, and colleagues all believe this is much easier than the product we were using before. That not everyone at my institution gets the value of Dropbox. I don't have a bad thing to say about the service. Nothing in life is truly free, but the only way this could be any better is if it were. I don't think there's much else that needs to be improved upon when it comes to Dropbox Paper. Don't consider Dropbox Paper, just use it. Providing strong collaborative efforts on large projects. There's been a major increase in productivity and input by team members. I've seen team members contribute far more than before using Dropbox. The greatest benefit I've noticed has been the ability for collaborators to view edits, comment on what needs to get done, and just how smoothly each project gets done. "The old king is weakened, long live the new king "
I switched from the old king Evernote -that I still use as my personnal note-taking app- to Paper as a beta user back then. As a Medium author, I was already accustomed to that writting experience so the transition was rather easy. I like the fact that you can import all sorts of files and it also works with code snipets and import tag. The best feature for me is the sharing options. You can share a file with your colleagues and allow them to edit a document. They can add contextual comments which is also very nice. I would like to share my Paper notes in my Dropbox Files folders. When I work on a project, I share a lot of files: word, excel, ppt, indesign....so I put everything in the same Dropbox folder and share it. I would like to be able to add my Paper notes in that folder. Box.com lets you do it so why not Dropbox ? I also would love my tasks to appear in a kanban board rather than a list. If Dropbox doesn't do it, which is probably the case, it would be great to see a third-party dev do that if the APIs are available. Please, do not use Paper as a file deposit note. There is a cool tool called Dropbox for such things. We needed something to gather knowlege and a tool for collaboration. Slite is a great tool but Dropbox Paper integrates seamlesly with Dropbox so we decided to useh Dropbox Paper. "Slick, but limited collaboration tool"
If Dropbox is your repository for files and documents, Dropbox Paper is a great tool to aide in the discussion, collaboration and documentation of edits, conversations and anything else that needs recorded. While Paper is available as part of your Business Plan, I don't like that they are treated as two separate applications. That is, Paper documents cannot be saved within Dropbox folders. So if I want to have a single file structure in Dropbox, I need to apply that structure on the Dropbox section and the Dropbox Paper section of my account. Be sure to become very familiar with what you want to get out of the product, because the limitations are there. If you are looking for Dropbox to become the only solution and not supplement any existing tools you might be using, like Google Drive/Docs or Office, then even the fledgling nature of Paper might be appealing. Documenting processes, meetings and project conversations to encourage problem solving and increase productivity. Also documenting repeatable processes so that new folks have a resource for common questions they might have. "Secure solution that users love to store and share files"
That I can share my files, photos, applications, music, etc. safely in the cloud and besides that I can see them from my mobile device thanks to the dropbox application. They only give you 5gb of free storage. Increase free storage capacity would attract more amount of public to finalize the tool. Also the free version has no other additional function but only share and upload files, should add more features to interact more with the cloud. Currently I have more than 4 years with files stored within this cloud and they are still there intact, reliability is what I like the most. Dropbox is one of the best known and used solutions in the market since it makes obsolete the fact of keeping our files stored directly in our computer, the fact of keeping our files in the cloud gives us the advantage of keeping our computer cleaner with respect to the fact that with just a couple of clicks we can get those files out of local storage and host them in the cloud and view them from anywhere in the world. Have the option to share and store files safely without risk that such information may be lost or manipulated by third parties without authorization. That other users can only see the files that I want to share. "Dropbox Paper the best for document editing"
Dropbox Paper is an excellent program that helps you create, edit and share documents and presentations in the cloud. It is ideal for working as a team because you can edit documents in real time with several people, you can also define editing roles and use this fabulous tool on your desktop, as in your phone through an application and so have everything at hand and synchronized. Dropbox Paper has been very useful for us and has practically become our favorite tool for editing documents, so we can not really say that we do not like Paper, we can only mention that its free plan can be improved including more space (since this program works in conjunction with Dropbox), the rest is great. There are so many reasons why I recommend this program. It is simple to use, easy to create documents and presentations, you can instantly share your documents and files with other people and work with other collaborators. You can add sound, video and images, you can also implement other tools such as Youtube, Vimeo and many more. You can find the outstanding editing options such as bold text, numbering, add hyperlinks, underlined text, add comments, assign tasks, synchronize your files with the calendars and many other things. This program has helped us to work faster and as a team, to share our creativity when creating presentations. You have to work in a simpler, integrated, minimalist and cleaner space, like Dropbox Paper. We can simply say that we find everything in the same place that allows us to work comfortably. "A good tool, fast and easy for quick documents"
The best is the clean interface that is not cluttered with any icons and menus. Take some time to get used to it, especially if you started with any Office suit or online google/msdocs or similar. Another nice feature is the keyboard shortcuts link; access to sharing is fast and is always there - but with options limited to view by all via link or limited to few by link. Another nice feature is the ability to embed different media like videos or virtually anything from common formats that one can store on dropbox. Templatization is a handy one too for standard-format documents like letterheads and similar. Limited formatting features is the largest noteseable drawback. While on one hand it makes an easy start for a new person using it, some 'advanced' outline may be a good idea for writing anything more then memos and letters. A good spell-check integration is also very useful tool, best would be some grammar suggestions as not everyone knows how to put those pesky commas and semicolons properly. Try it out, may work for you better then alternatives! Normally its the papers rotation within office, memos, letters, information and simple ad flyers. Another moment is the collaboration on the more complicated documents in terms of the context - after its settled, someone has to export as .docx and do the manual formatting required. "Fast and easy way to keep track of business notes!" Between desktop and app features, it's one click to get in and one click to select the page I want to add to (or simply create a new note). Super easy and I have full access on both platforms! I wish there were a tile or icon view instead of only a list view - it bugs me to scroll a long way down to find a note from last month (and half the time I zone out and miss what I was looking for, lol). Not a powerhouse, but the ease of use is well worth utilizing! I may use another program for 5% or less of my note-gathering needs, but DBPaper is tops since I access it daily. I started a new business last year and as I am learning the technical processes, marketing avenues, and other facets, I'm able to keep all my notes - quickly and easily - in one spot. I have also been able to share notes with collaborators and collect feedback! "Our great experience working with Dropbox Paper"
Undoubtedly Dropbox Paper is an excellent simple, modern and updated program that allows our team to create, edit and share documents in real time. 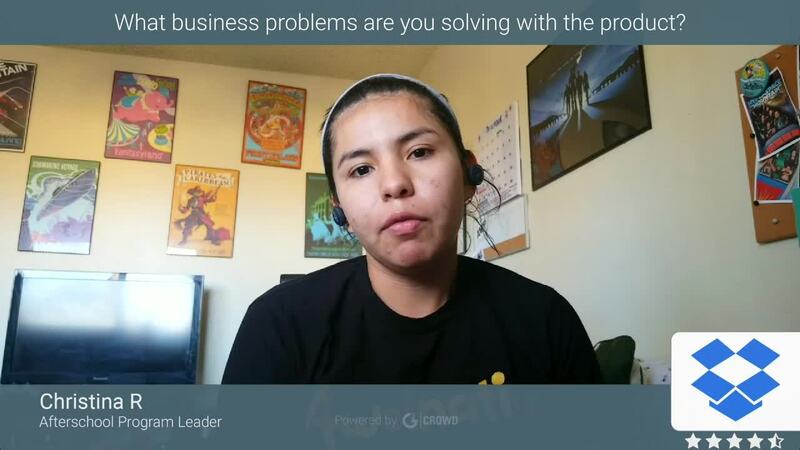 It is an easy to use program that allows us to work collaboratively and creatively from anywhere. It has excellent tools for collaborators, creatives and presenters, since it is a program that can be used in different ways or according to the need of each work to be done. Dropbox Paper is a program with too many positive aspects to highlight, but something that we think can improve is free storage that offers only 2G compared to other similar programs that can offer much more, if Dropbox can improve this aspect would be a perfect program. The only thing that we can recommend for Dropbox Paper to be a complete program and even better than other programs of the competition, is that they provide a better amount of storage in the cloud, since 2GB is not enough for the companies that are starting. This program has given us the opportunity to work in teams simultaneously and in real time. We can easily integrate it with other tools such as Airtable, Youtube, Vimeo, Github and many more. In addition to that, we can assign important roles for editing, such as the role of collaborator and the role of editor. And we can not overlook that it is a useful tool to create presentations. "My experience using Dropbox Paper at work"
Dropbox Paper has been an excellent tool that helps us to do creative and team work. We can do collaborative work in real time and online, assign tasks, edit documents and everything from one place. In addition to being a good place to store files in the cloud. It also gives us the opportunity to create roles for work in the team, as Creators and Collaborators. It has a simple and minimalist style, when it comes to work it seems an eternal and infinite sheet of paper that accepts many types of content. Dropbox Paper for the time being has been able to meet the needs of our company by working online and in real time with our team, but we believe that it can improve a bit in terms of storage, such as for free plans only offer 2 GB, while other companies offer a little more. We could recommend improving the storage plan in the free plans and for new companies that use this product.